This is a call to duty for Specialists and Researchers in the field of Communication Disorders and Sciences. In this techno-rich world of large and small drone warfare, to surgically strike at the enemy from a secure location is becoming child’s play… literally. It’s a safe kill with none of those pesky bullets whizzing all around or the nighttime sweats on guard duty when every shadow jumps out at you and where the God of War who can (and will) demand a sacrifice. For them, it’s just another day in the trenches with a mandate to lick those Cheetos-encrusted fingers before engaging the joystick. 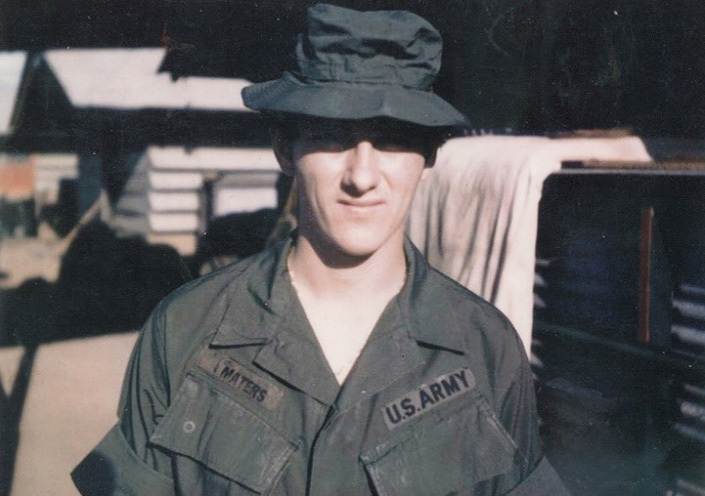 Though I honor their profession and dedication, this story isn’t about them, the Unmanned Aircraft Systems Operators; rather, it’s about a hardy class of soldier/spy who fought during the Vietnam War. I was one of the Morse Intercept Operators who were essential in assisting the military with the capacity to strike at the enemy from great distances or to decipher messages of their upcoming plans. 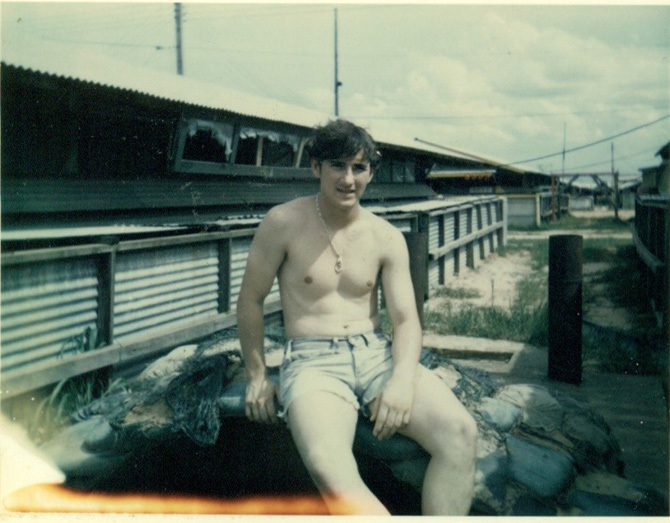 One of the first men killed in the war was Army Security Agency (ASA) Specialist 4 James T. Davis who was hunting, by means of radio direction-finding equipment, a contingent of Viet Cong (VC) near the old French garrison of Cau Xang. He was ambushed while tracking the transmission of an encrypted VC Morse code message. We were in the Army Security Agency which was the Army’s signals intelligence branch under operational control of the National Security Agency (NSA). Many of the Morse Operators were attached to Army Infantry or Special Forces units with the rest assigned to covertly designated Radio Research Field Stations (RRFS). Throughout this time in history, lightning fast Morse code was the standard of communication between a country’s military units and their outposts. The washout rate for my MOS (Military Occupation Specialty) was one of the highest because, in order to pass the training, the brain had to be rewired. There was no concrete method of predicting whose mind could endure converting Morse code from a cognitive translation of sounds-to-symbols into a psycho-motor response. In non-nerd speak, my brain was eventually conditioned to instinctively react to the dits and dashes like a starving dog banging on a damn bell for its supper. After MOS school, all of us were squirrely and given a wide berth by those in charge; too many went crazy, including my good friend Dan in Germany. 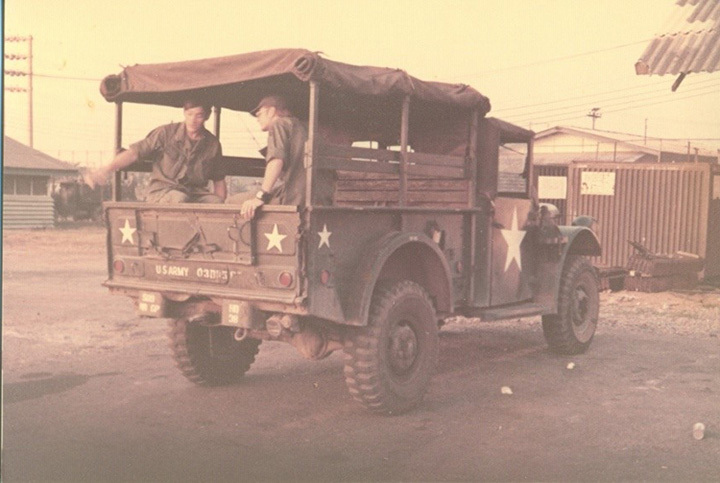 During 1972, I was stationed at the 175th RRFS which was located on an isolated compound high above Bien Hoa Airbase. This was predicated by the need to place our antenna at the highest elevation. Not at all an ideal setting for pretend soldiers whose only combat training was in Basic, wildly firing M-16’s loaded with blanks while raiding a mocked-up VC village. As I soon discovered, our only neighbors were soldiers of the Fifth Cavalry who stayed out in the bush for a month at a time. At first I assumed they’d be our protectors, but then… I was made aware. If the number-crunchers at the Pentagon factored us in as elite killing machines, then we were all doomed! On the first day there, and within three hours of departing an olive drab green bus, reality slapped us hard in the face. Every newbie was thrown into the deep end of the compound to guard the installation from any overnight VC activity. After superficial instructions, they deposited us in front of sandbagged bunkers along a winding ten-foot-tall reddish dirt berm line. While there was still precious daylight, the order came down to fire off weapons we hadn’t touched in almost a year. Even though there were bunkers on either side, it rapidly became a very personal and private affair after the sun deserted me and a moonless pitch-black night cloaked the dense jungle ahead. Luckily I wasn’t alone — misery does love company! Sharing the same fate were two other apprehensive pieces of ‘meat’ who were just as concerned about making it through the night. Instead of taking turns on guard duty, the three of us spent the night sitting back-to-back while time painfully ticked away. With the first rays of daybreak, the threat of sappers crawling through the line faded and we could finally draw a stress-free breath! By the end of the first week I began to feel much more at home. The perks, for the moment, easily outweighed any level of danger. The 175th was a self-sufficient city and extremely user-friendly to some boys yearning to become men. Of course, there was the usual Army benefits of good chow (I can barely keep these words down let alone that food) and a sandbagged home. What made the camp familiar was having my very own mama(son) to clean the room and wash my clothes just like the original back home. What blew my mind were the local five-dolla ladies of ‘intense release’ who were given run of the camp during daylight hours. After pulling an all-nighter, there was no way they could wake the dead, but I always gave them an ‘A’ for effort. 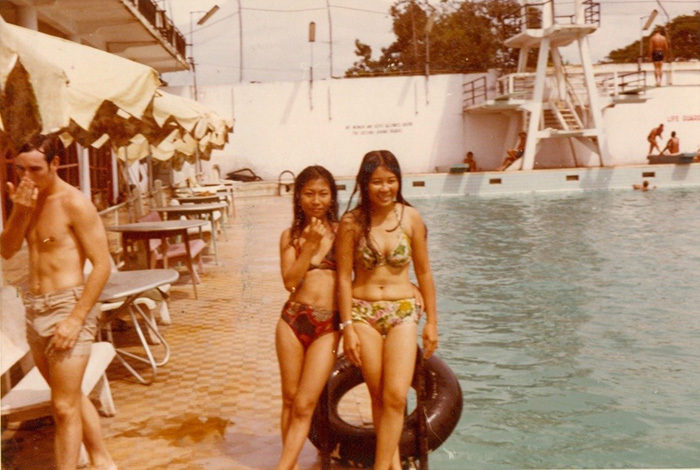 The crown jewel of the camp was our well-stocked bar where, nightly, Vietnamese bands played top 40 American hits while exotic half-French half-Vietnamese go-go girls seductively gyrated to the music. My first real taste of enemy aggression occurred a few days later when I was forcefully shaken awake, at three in the morning, by my newbie roommate. In a high-pitched panicked voice, he squeaked out orders to “put on your bomb-shelter and rush outside to the flak vest!” As the rockets were whooshing overhead, I groped around in total darkness to seize my vest and steel helmet before racing out. By the time I arrived, it was crammed full of panicked Operators who suggested I hunker down outside the entrance. Our bunker was literally a bomb shelter. Although most of the rockets flew overhead and down below onto the airbase, countless others malfunctioned and routinely hit all around us. The long-range killing capability I alluded to earlier was really a team effort between our intel, ARDF (AeRial Directional Finding) aircraft and an earth-shattering carpet-bombing courtesy of a B-52 subsonic bomber. It typically began with an Intercept Operator at Operations (below) finding enemy traffic; if it was on the Hot List, the controller in charge immediately contacted an ARDF plane soaring high above. Minutes after relaying the frequency on which the military unit was transmitting, a B-52 was airborne to annihilate anything or anyone unlucky enough to be within kill radius of the targeted radio transmitter. On one disconcerting day, my good friend Woody picked up just such a transmission; the aftershock of the bombs was powerful and surprisingly close to home, which meant so was the enemy. During extensive research, I discovered three legitimate documents which together state that Morse code is a language, one that can be compressed (sped up), and the various negative effects of such a communication overload. I just filed another VA claim for Morse code and now have one year to prove my case with new medical evidence. In the past three years, I’ve been involved in a writing campaign to specialists in the field of Communication Disorders and Sciences, agents of celebrities and government officials to find a champion for my cause — someone who will evaluate my claim documentation, medical history and come to a written conclusion. If they agree with me, either in part or wholly, then I can submit it to the VA. When the damage caused by high-speed code is universally recognized, it will surely benefit Morse Operators from the Army, Navy and Air Force who seriously need help. If you have any medical information or evidence about how rapid Morse code affects the brain, please contact Mr. Waters directly at wtenny58@gmail.com. As he wraps up his VA claim, additional input is needed and welcomed! And just so you don’t fret, my Vietnam story does have a happy ending. By the end of the third month, our cryptographers were in very high demand — some of the encrypted messages we copied were about us and everyone wanted to know what’s up! Our invisible slip was showing, and the wolves were nearing the gate. 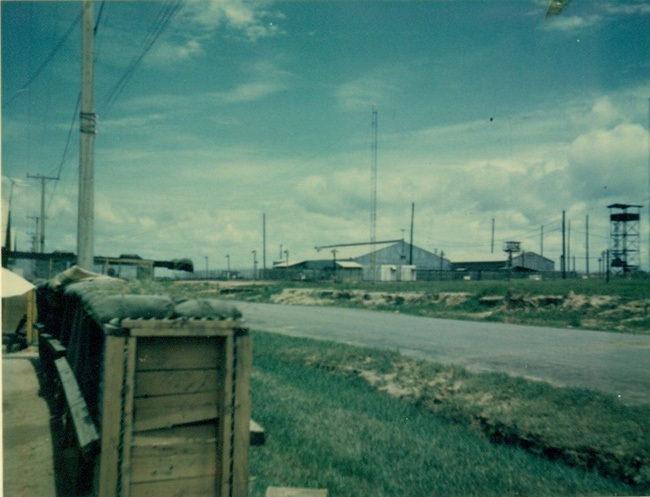 Then, two nights after a hasty relocation to Saigon, the 175th compound was saturated with rocket and mortar fire. With the move south, we immediately went from sweat-infused Army chow to French cuisine at the luxurious Hotel Continental while paying at an exchange rate of one dollar to two thousand piaster. My first dinner there totaled five dollars and included a five-course lobster thermidor meal, a few pitchers of premium screwdrivers and healthy tips for everyone. As for women? 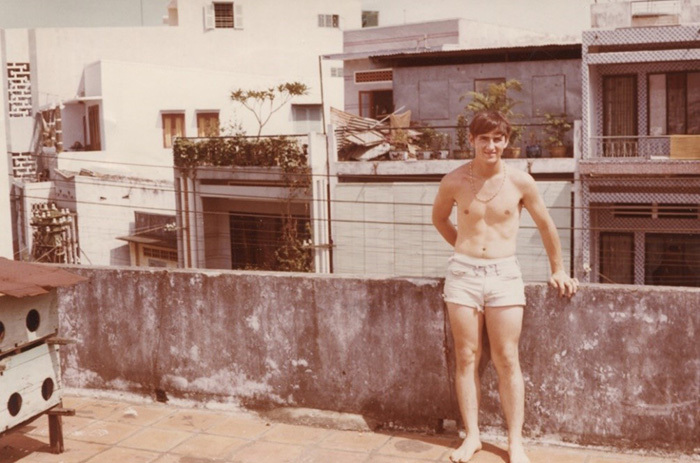 From all over Vietnam they poured into Saigon with a calculator glued to one hand. From a sea of go-go bars, their siren call went out to every man in green as if we were A-list celebrities who oddly enough all shared the same initials… GI. And if you ran out of money? Well, mama son would still talk to you! Casually watching the big city traffic flow by from the rooftop of our apartment on Tu Do Street. I’m not sure if the pigeons in the coop were for meals or communication with the VC?? 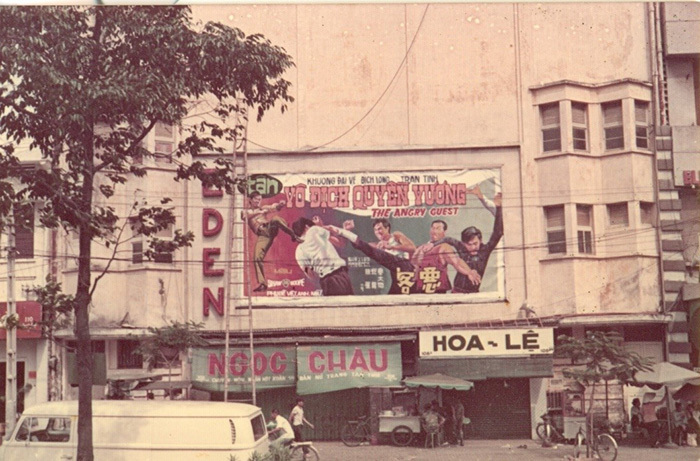 Saturday afternoons were reserved for movies like Bruce Lee in Fist of Fury. They didn’t sell Whoppers here but the dogmeat subs were always a must buy. 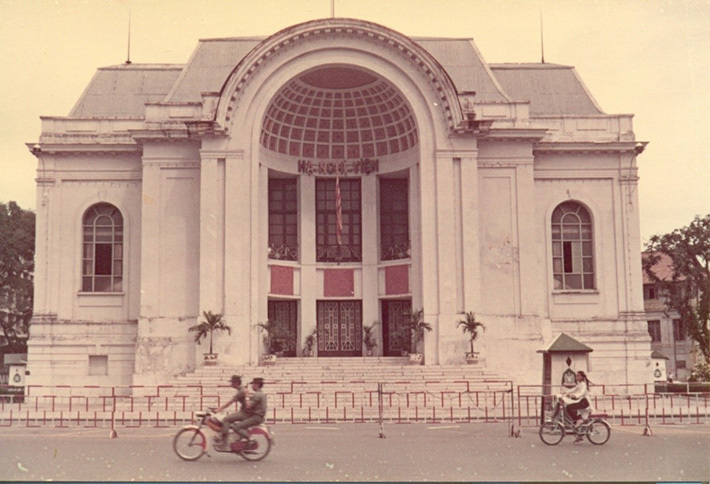 This is the Saigon Opera House where I performed while on tour… or I should say, while on a tour. They didn’t ‘get’ my heartfelt rendition of We Gotta Get Out of This Place by the Animals. Thank you for traveling back in time with me! Rick Waters is a contributor to ArtProfiler when time allows! You can check out his political toasts here. 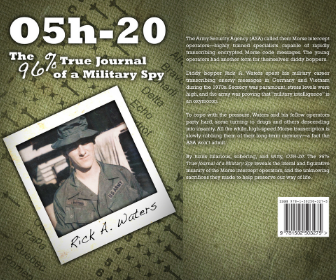 You can also purchase his book O5h-20: The 96% True Journal of a Military Spy on Amazon.